New York – The United States Cannabis Coalition is proud to announce the appointment of retired US Army Sergeant Boone Cutler to the USCC Advisory Board. A noted author, radio talk show host and veteran’s advocate, Cutler is an important activist for cannabis PTSD treatment. Cutler joins Board Member and former US Army Infantryman Tyler Nixon on the USCC’s Committee on Veterans Access. “Cannabis literally saved my life’ says Cutler ‘the VA’s combat cocktail was killing me. I was a zombie and my symptoms were getting worse, not better. When I learned that Israel and other developed countries successfully use cannabis to treat issues like mine; it became my mission to fight for my Warfighter family to get the same life-saving cannabis that helped me. Together with the USCC, we will win the fight for real PTSD treatment”. Cutler’s influence has helped several institutions, including his partnership with the venerable American Legion, to adopt a pro-medical marijuana stance. Cutler suffered traumatic brain injury during Iraqi Freedom combat operations which later developed into Parkinson’s disease. 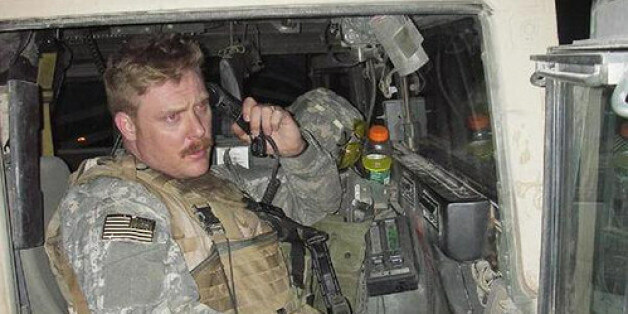 Cutler spent years shuffling in and out of the VA hospital system, where he was given, as he calls it, ‘the combat cocktail’; 27 different mainly opiate and psych-based medications. Recognizing that the overload of pills was ruining his life, Cutler switched to medical cannabis and finally found relief from his symptoms. “The demonization of cannabis has become a political movement that’s partnered big-money Pharma lobbyists with politicians to keep it all going for decades” said Cutler, “Good people have been duped, bad people have been made rich, and our families have suffered needlessly. Cannabis-based medicine helps when we stop the madness and treat the patient”. USCC board member Michael Bowen concurred saying, “Boone is the voice for the millions of veterans pleading to replace the VA’s opiate overload with safer marijuana alternatives. Our work together in ending pot prohibition will save millions of lives”. “As a combat veteran, Boone Cutler has done more to defend the Constitution than most people can ever imagine” said Bowen “In light of the Gardener-Warren STATES Act, Boone’s voice and experience are particularly relevant to USCC’s crusade for state’s rights on cannabis”. The United States Cannabis Coalition is a bi-partisan, pro-cannabis non-profit project dedicated to persuading federal decision makers — including the president – to support the states’ rights when it comes to marijuana laws. Co-founded by long time Trump advisor Roger Stone and famed trial attorney and Democratic activist John Morgan, the USCC is a project of the United States Freedom Coalition and notable members include Fox News commentator Judge Andrew Napolitano, HBO’s Bill Maher, Former Congressman and National Co-Chair Republican National Committee Thomas B. Evans, Jr, , Former Executive Director American Conservative Union, Christian Josi, CEO of the Coalition for a Strong America, Michael Bowen, Congressman Matt Gaetz of Florida, Curtis Sliwa of the Guardian Angels, Attorney and activist Tyler Nixon, Pastor Mark Burns of South Carolina, Florida State Representative Katie Edwards ( D-Broward), Patrick Moore of the California Hemp Project and Senator Diane Savino (D-New York). Dabbing has taken off in the last year in states where it is legal and is available at most dispensaries. We wanted to see what all the hype was about so we tested some Live Resin, THC crystal powder, shatter and whatever else we could find to see for ourselves. Most dabbing materials seem to be either processed with Butane (BHO) or C02, which is considered ‘cleaner.’ My local Budtenders were not very helpful in directing me to any CO2 concentrates as most were just selling the BHO. Basically to ‘dab’ you are vaporizing concentrated marijuana on a ‘nail’ that heats up the processed weed. Many a Budtender have gotten quite creative by combining these concentrates similarly, as is done with some of those primo mixed joints laced with hash oil and crystals. It was interesting how the high differs when experimenting combining the different hash like, crystallized or shatters materials. 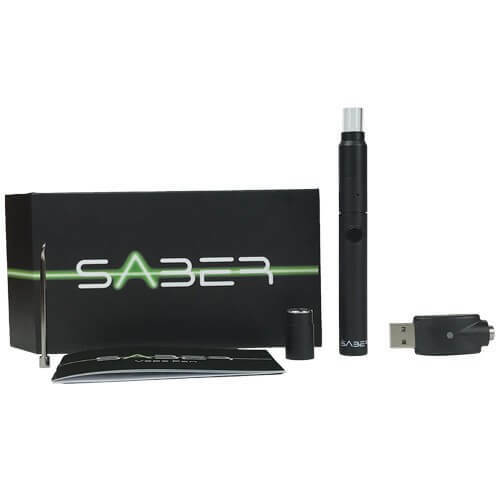 We used a Saber Vape Pen and I was pleasantly surprised that the heating element delivered such a nice smooth inhale for such a small, portable unit, about the size of a sharpie. A full review can be seen here. With 3 levels of heat, I was able to arrive at the smoothest and least wasteful hits based on what I was testing. Some are stronger than others, some more cerebral and some more of a body high. The wild world of cannabis concentrates is alive and well and there for your perusal. The marijuana business in Oregon is going through rapid changes, including a December 1st deadline where all growers must declare whether they are producing products for the medical or recreational markets. For growers wanting to be in compliance with ever-changing rules, Oregon Marijuana Business Conference (OMBC) is your best resource for information. 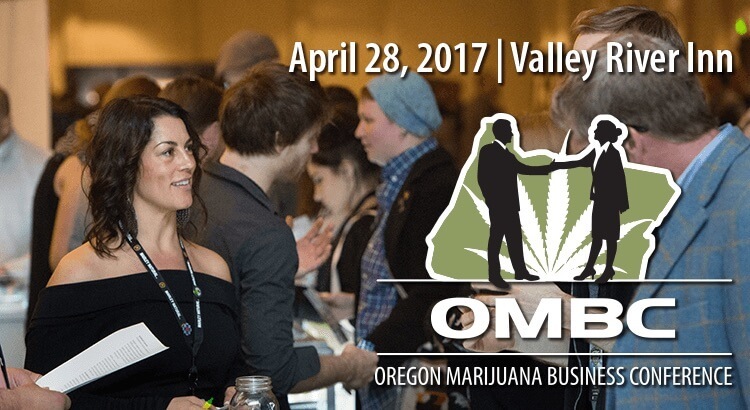 OMBC is the longest running cannabis B2B networking event in the state, with top notch exhibitors and select speakers specializing in all areas of cannabis business. The next event will be held Nov. 19 at Ashland Hills Hotel & Suites in the heart of Oregon’s cannabis country. Industry experts, cannabis law reform activists, and marijuana business attorneys will be on hand to present the latest information and answer your burning questions. These days, no one can deny that the Oregon cannabis industry is booming, generating more than $85 million in tax revenue to the state and creating thousands of jobs. But the competition is fierce, forcing entrepreneurs and business owners to be creative with their branding strategies while producing top-notch products and services. 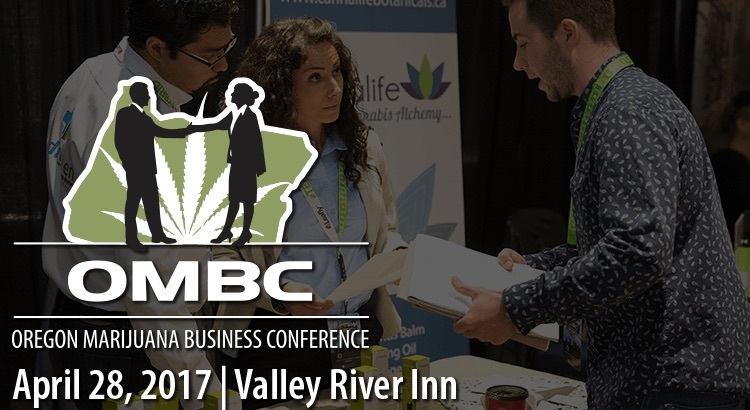 Not only will the OMBC present you with important tools of the trade, but it will also provide you with excellent networking opportunities that can help you take your cannabis business to the next level. While the OMBC is designed to help you survive and thrive in the legal cannabis market, advocating for social justice and sensible policies is always a top priority. Keeping people out of prison and providing safe access to patients remain of paramount importance to our community. State Senator Floyd Prozanski, a major champion of sensible cannabis and hemp regulations, will be on hand to present the latest legislative information and respond to your policy questions. This will be an important opportunity for advocates to continue the process of protecting and improving Oregon’s cannabis laws. Early Bird Ticket prices end tonight at midnight – which means you have only a few hours left to save $100 on conference registration! VIP tickets will include an After Party at Brickroom with Hip Hop artists Hieroglyphics/Souls of Mischief, and a keynote speech by the iconic Henry Rollins. You know you want to be there, so get your tickets now! Cannabis and alcohol have an interesting relationship in American society. Both of the substances have been prohibited by the federal government, but alcohol was able to break free of that disastrous policy after a few year after prohibition helped lead to the rise of gangsters like Al Capone. Marijuana prohibition has lasted for decades, providing a major source of revenue for violent cartels. While alcohol was able to repeal federal prohibition with one amendment, cannabis law reformers have been forced to a state-by-state approach. Once federal cannabis prohibition is repealed, we will surely see THC-infused beer. 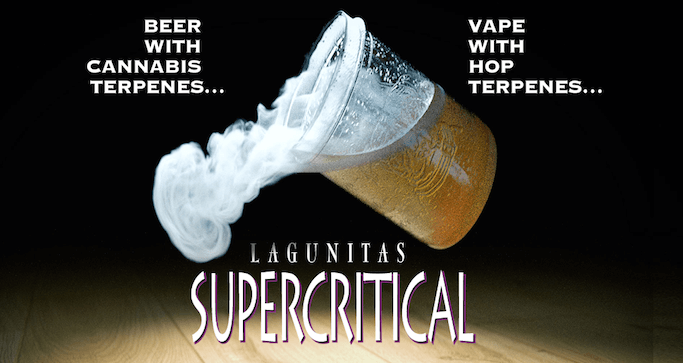 Lagunitas, potentially getting the jump on the competition, has launched SuperCritcal, an IPA that contains cannabis extracts, but won’t get you high. The beer itself is a dank, odoriferous IPA, checking in at just 6.8 percent alcohol by volume, with grassy flavors, a decent amount of earthy hop bitterness and a noticeably sticky finish. It’s not much different from other IPAs designed to mimic weed’s characteristic flavors, though the taste is slightly greener. Lagunitas is viewing SuperCritical as an experiment and produced only one batch of 60 barrels, or 120 kegs. Those went to bars across California, primarily in the San Francisco area, by late last week. (A full list is available on the Lagunitas website.) “There may be more SuperCritical coming in the future, and this time to other areas in the U.S.,” Hamilton said. The cannabis industry is likely to follow the beer model, with some big companies, but also many “micro” companies as well. It is exciting to see a brewery like Lagunitas examining how cannabis can enhance its beers. As legalization spreads, we should see more such collaborations, and once we end cannabis prohibition at the federal level, the two popular substances, will go hand-in-hand for many, leading to THC-infused brews for adults to enjoy. Keep informed of all that is happening across the United States and the globe when it comes to cannabis! Join experts and business leaders from around the world converging for the International Cannabis Business Conference, December 1-3, 2017 on the tropical paradise of Kauai, Hawaii. Get tickets now! “Every American, no matter who they are or where they live, has the right to be safe in their homes and neighborhoods. And yet, in many locations, the violent crime rate is rising, and in some of our urban areas, the increase is staggering. Reducing this crime surge is a top priority for President Trump and the Department of Justice. Consistent with the President’s Executive Order on a Task Force on Crime Reduction and Public Safety, I created the Task Force in February and it has provided me with recommendations on a rolling basis. Dedicated professionals from throughout the Department have been listening to our partners in state, local, and tribal law enforcement; identifying successful violent crime reduction strategies; and developing recommendations on actions the Department can take to help improve public safety. While it is a good sign that the Justice Department didn’t immediately announce a crackdown in states that have legalized marijuana, the cannabis industry must remain vigilant. It is a tremendous sign that the Senate seems prepared to pass an amendment protecting state-legal medical cannabis providers, the recreational markets still need protection as well. 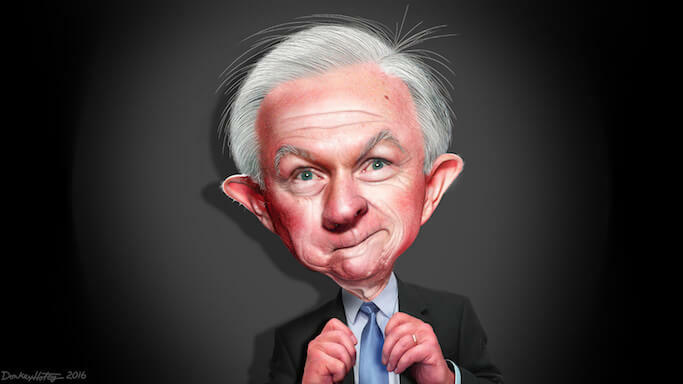 Supporters of legalization must continue to make their voices heard, we can’t count on Donald Trump to adhere to his campaign promise to respect state cannabis laws nor can we trust that Jeff Sessions is too embroiled in turmoil to leave us alone. Contact your legislators and stay informed. Our long-term prospects look great, of course, but they are even better if we can remain united, flex our political muscle, and push back against even the slightest hint of any short-term setback due to the Trump Justice Department. 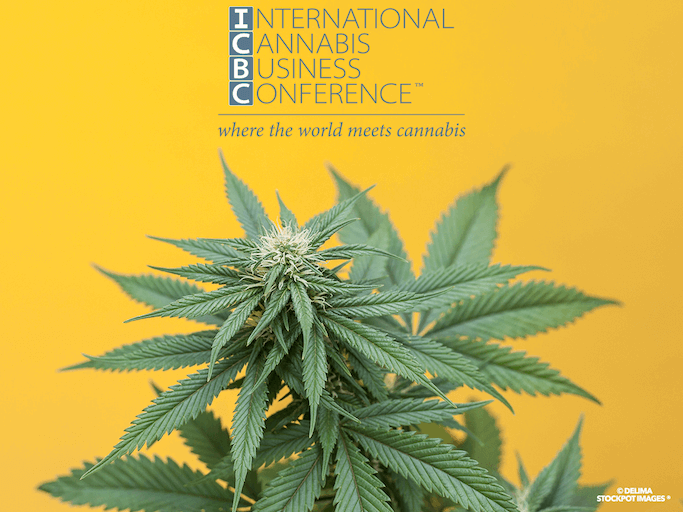 One way to keep informed, get involved in efforts to protect the industry and network with like-minded freedom fighters and entrepreneurs from across the country (and around the world) is to attend the International Cannabis Business Conference. The next ICBC is in beautiful Kauai, Hawaii, and it will have you prepared for anything that Jeff Sessions throws at you. Demand for cannabis concentrates and edibles is exploding in Colorado, offering a window into trends that will likely play out in the larger marijuana industry over time. Retail sales of concentrates in the state’s medical and recreational markets surged 125% in the first quarter of this year from the same period in 2015, according to BDS Analytics, which provides cannabis industry data based on point-of-sale information it gathers from retailers. In the first quarter of 2016, concentrates and edibles accounted for about a third of overall marijuana sales, up from just 24% a year earlier. Growth in concentrates sales accounted for most of that increase. Extractions are becoming a massive share of the market in the U.S. 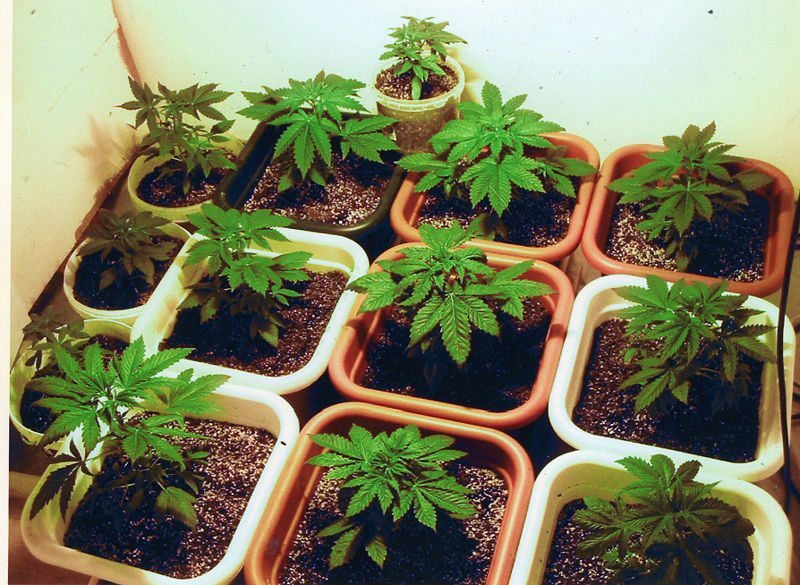 Currently, Germany’s medical cannabis patients only have access to flowers. Under the new German laws, extractions will be allowed to be sold in pharmacies. We will go over the most cutting edge, clean and efficient extraction methods and their alternate benefits and discuss how extractions will be implemented in the Hawaiian market. 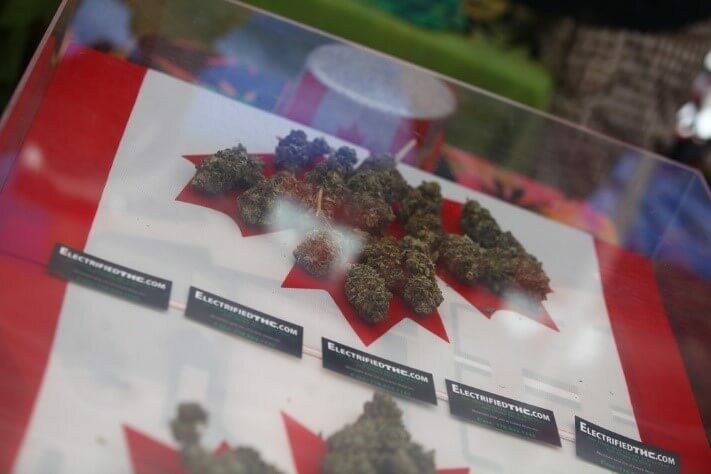 There are many opportunities for entrepreneurs in the burgeoning cannabis industry, with extracts potentially being as lucrative as any segment of the market. You can learn more about this extraction industry, as well as the entire industry, and network with other like-minded folks and experts at the upcoming ICBC in early December. Featured photo credit: Andy Lee/StockPot Photos. All Rights Reserved. 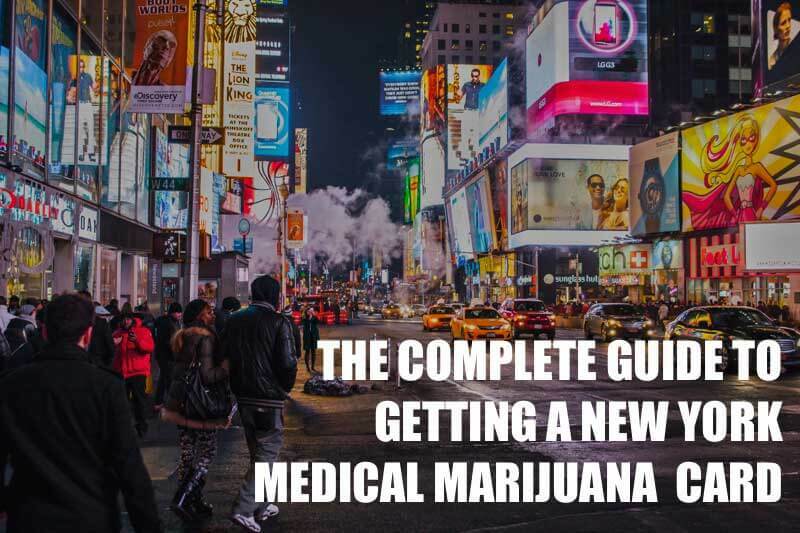 If you think getting your New York State medical marijuana card in order to obtain legal cannabis products is a hassle, think again. Thanks to very recent changes in the state’s eligibility requirements, and NuggMD’s expansion into the Empire State, New Yorkers in need of medical marijuana now have it easy. 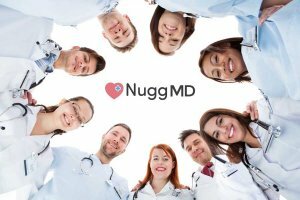 NuggMD is the nation’s leading and most trusted online source for medical marijuana certifications, finding 420-friendly physicians, and locating legal cannabis dispensaries. They have helped over 60,000 MMJ patients in other states already, and have the experience and proprietary software to help you manage your medical marijuana regimen online, from a virtual doctor’s examination and evaluation via your smart phone or computer, to obtaining and renewing your medical marijuana card, as well as giving you access to the highest quality cannabis products and dispensaries in the state. Think of NuggMD as your one-stop shop for medical marijuana access. First, you’ll need proof of residency, i.e. a current New York State driver’s license or a U.S. passport lilsting a New York address. Sorry, your old Blockbuster membership card from White Plains won’t suffice. Next, you’ll need a valid reason for seeking cannabis treatment, which can only be an ailment from this short list: AIDS/HIV Positive Status, Cancer, Parkinson’s Disease, Chronic Pain, Epilepsy, Lou Gehrig’s Disease (ALS), Multiple Sclerosis, Spasticity, Huntington’s Disease and Inflammatory Bowel Disease. Unfortunately, minor ailments like insomnia and generalized anxiety are not qualifying conditions like they are in other medical marijuana states, but New York State Health Commissioner Howard Zucker announced just a few months ago that “chronic pain” has been added to the list, and other ailments are being considered. Commissioner Zucker is a great ally in the fight for easy access to medical marijuana, and we look forward to progressive changes in the state program. Finally, you’ll need to join the Nugg Network in order to get the most out of the New York State Medical Marijuana Program – and pay the least! Log in, fill out a few basic medical questions, and have a quick but thorough medical evaluation via video conference with a licensed New York medical marijuana doctor that lasts five to ten minutes, or however long you need to get your medical marijuana questions answered and your case evaluated. (If you don’t qualify for the MMJ program, you pay nothing.) Nugg can’t guarantee you’ll pass the eligibility requirements, but they do everything in their power to make it happen. Don’t go it alone! When finding marijuana-friendly doctors, medical evaluations, dispensaries, and cannabis information online is this easy (seriously, I remember when I had to search online for “cannabis evaluations near me” and locate an in-person doctor), there’s no need to hustle and bustle the old-fashioned way. Why try to find one of the few certified marijuana doctors in the state, make your way to their office, and stew in a large waiting room with a bunch of strangers? The California experiment has proved that online 420 evaluations are easier, cheaper and more secure than traditional doctor visits. Once you’re approved for a state medical card online, you pay only $199 for certification, the lowest price you’ll find anywhere in the state. Your card is valid for 12 months, after which NuggMD will help you renew every year for just $99 – about 25 cents a day for the privilege of access to legal cannabis products! As of June 6th 2017, there were just 21,009 patients registered with the New York State Medical Marijuana Program, and 1,043 registered doctors. That is, of course, an abysmally small number when contrasted with the state’s 20 million residents and 90,000+ licensed physicians. But it shows that more and more doctors are joining the medical marijuana movement in New York, and registering as a patient is about to get a whole lot easier because NuggMD has opened shop in the Empire State. If you’ve never heard of NuggMD, the country’s premiere site for getting your Medical Marijuana credentials online, and for finding 420-friendly doctors and legal dispensaries, you will soon. After helping more than 60,000 people get their medical marijuana certification online, NuggMD services are now available to residents of New York State to make the NYS medical marijuana program easy to join and easy to use. Soon they’ll even introduce their online cannabis delivery marketplace in NY! So head on over to the NuggMD website, time’s a-wasting. Find out how NuggMD has achieved its status as America’s preferred choice for quick and easy online medical marijuana information and registration. With these guys, the doctor is definitely in! There’s a lot to think about entering into any new business enterprise. Factor cannabis into the mix, and your entrepreneurial load multiples three-fold. Every angle of bringing a new product to market requires intense scrutiny to ensure that product is competitive in its space. Creating the right brand for your cannabusiness is crucial to that process. In a market brimming with start-ups and changing technology, many of the highest quality companies will still fail to thrive without a recognizable name and logo. Oliver Herzfeld and Jared Mermelstein of Forbes point out that strong and early cannabis branding includes creating recognition, loyalty, awareness, credibility, and quality and value of your brand. While the reasoning is sound for why one should create a brand, the how is much trickier. The greatest current obstacle to creating a successful cannabis brand is, of course, federal prohibition. Until politicians catch up at the national level, business owners have a limited ability to legally protect their intellectual property. 3. By registering the mark with an appropriate state trademark registry. Second, entrepreneurs must remember that business cannot be separated from politics. Engage in local, state and federal advocacy efforts. Join organizations such as the National Cannabis Industry Association, working to end federal prohibition and advance cannabis business interests on Capitol Hill. Finally, educate yourself with the most current developments in this rapidly-changing industry. Come be part of the International Cannabis Business Conference this December 1st-3rd in Kauai, Hawaii! Get your tickets now to hear the always-stellar list of experts covering cannabis branding and intellectual property, along with numerous other timely topics for the ganjapreneur. Oregonians, it’s your last chance to party with Henry Rollins! Tonight in Eugene, at the Valley River Inn, the kick-off party begins WITH HENRY ROLLINS for the Oregon Marijuana Business Conference (OMBC)! You can’t wait any longer to get your tickets! Join Henry tonight for a special VIP appearance, and then on Friday, see Henry speak along with Oregon’s most informed policy analysts, scientists, and business leaders of the cannabis world. This weekend, the best of Oregon cannabis minds are meeting. It’s a must-attend event! The OMBC will cover OLCC recreational regulations, medical laws, distribution models, technology and branding, taxes, and testing regulations. State Senator Floyd Prozanski will discuss legislative developments and take part in a Q & A with attendees. OLCC regulators will also be presenting and answering questions from the audience. Henry Rollins will be delivering the keynote address, bringing his unique socially conscience message to Eugene. While all of the latest pertinent information will be covered, nothing will be timelier than the testing panel, as the state is taking public comment on new proposed rules until April 30th. If you want to stay at the front of the market, you will come to OMBC tonight and tomorrow. And we will see you in Eugene! 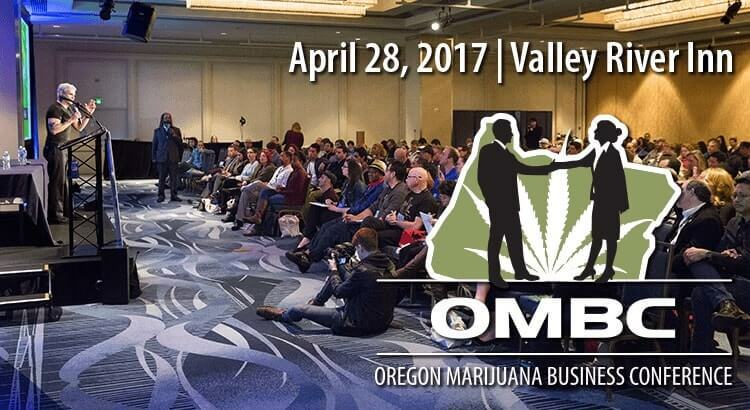 The Oregon Marijuana Business Conference (OMBC) is bringing back its trademark blend of business, activism and culture to Eugene for another information-filled conference on April 28th at the River Valley Inn. Today is your LAST CHANCE TO GET DISCOUNT TICKETS – prices go up $100 at midnight! 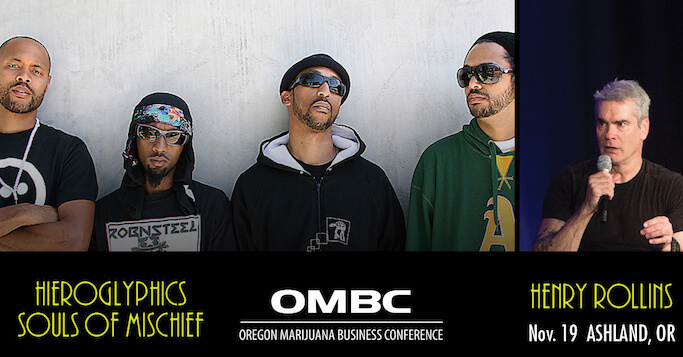 This will mark the third OMBC in Eugene, a great central location for the state’s burgeoning cannabis industry. The state’s top cannabis business event will actually kick off on Thursday, the evening of the 27th, with a special VIP party that will include cultural icon Henry Rollins, as well as many other prominent speakers. Rollins will be available for interviews Thursday afternoon and evening. Tickets are expected to sell out, so don’t wait any longer. Come join fellow entrepreneurs and activists, and be part of Oregon’s hottest cannabis event! Get your tickets before midnight tonight, Wednesday April 26th! See you in Eugene!